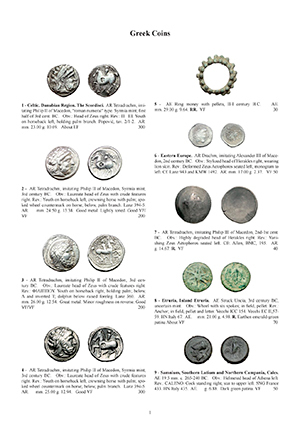 Celtic Coinage. Celtic, Danubian Region. The Scordisci. 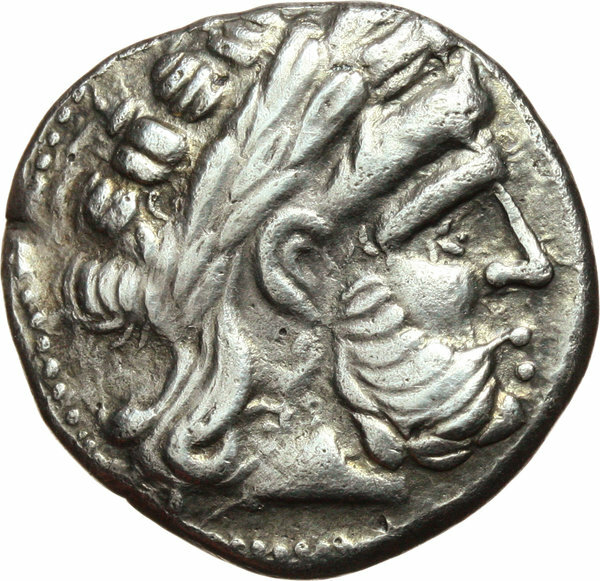 AR Tetradrachm, imitating Philip II of Macedon, 'roman numeral' type. 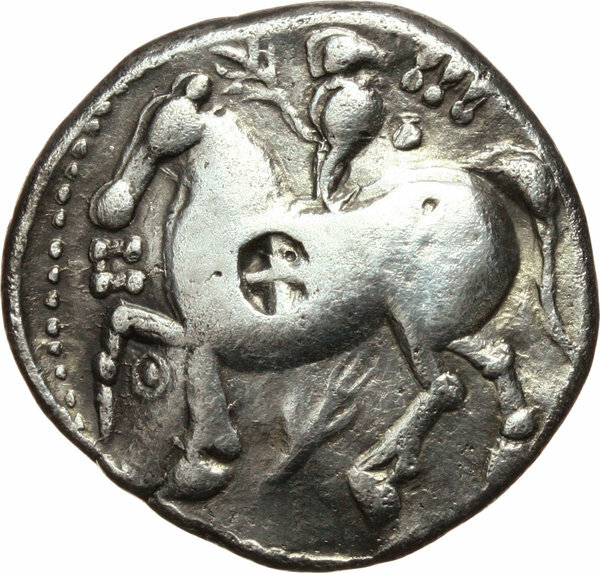 Syrmia mint, first half of 3rd cent. BC. Obv. Head of Zeus right. Rev. Π ΙΙΙ. Youth on horseback left, holding palm branch. Popović, tav. 2/1-2. AR. g. 10.69 mm. 23.00 About EF.